WHITE PRESTIGE 4D cosmetics series is the innovative treatment, acting in four dimensions: lightens complexion, evens out its tone and counteracts excessive pigmentation for up to 48h after application. Actively Whitening Facial Mask, rich in advanced active ingredients acting in synergy with Lumiskin™ 4D White Complex™ intelligent complex, intensely whitens, lightens, evens out skin tone. Reduces pigmentation spots and discolorations, restrains the process of new ones formation. Intensely moisturizes, regenerates and nourishes on cellular level. Smooths wrinkles and expression lines. Lightens complexion giving it youthful radiance. 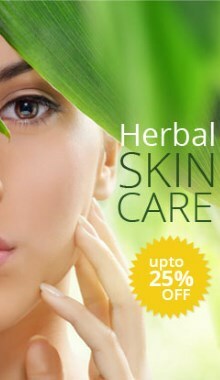 Restores vitality, freshness and silky smoothness to the skin. Immediately after application skin becomes visibly rejuvenated, restored and lightened. Lumiskin intensely whitens, perfectly lightens and evens out skin tone. • Marigold extract soothes irritation, supports regeneration of epidermal cells. Aloe extract has anti-inflammatory and soothing action. Reinforces, moisturises and smoothes skin. Natural betaine maintains hydrolipidic balance of epidermis, enhances its firmness and elasticity. APPLICATION: apply onto cleansed face (avoiding eye area), neck and décolleté skin. After 10 minutes rub the excess in or remove with cotton pad. Use 1-2 times a week.